One of the oldest medicines known to mankind is Traditional Chinese Medicine. It doesn’t just include supplemental herbs, but has instructions on everything from diet to exercise. 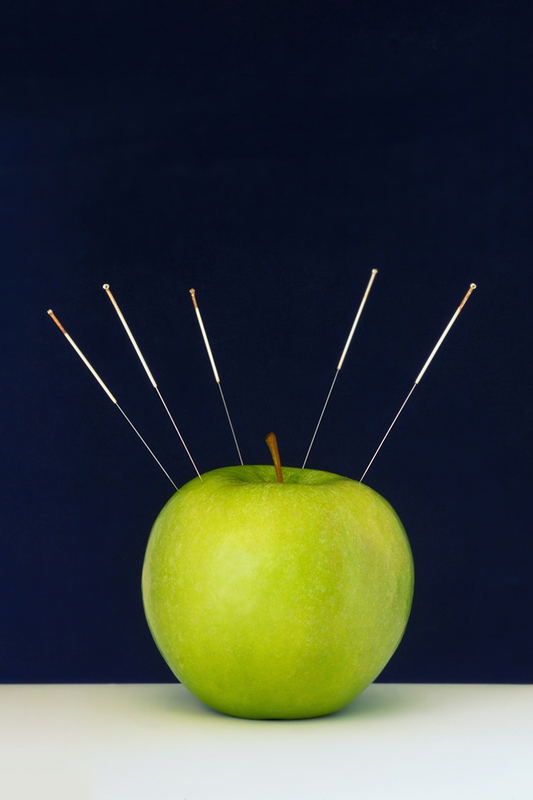 This interesting umbrella of medicine also encompasses a pivotal practice: Acupuncture. Heard a lot about the benefits of acupuncture lately? Interested in hearing more about it? Well, as a acupuncture enthusiast for years, I can tell you that it’s been a saving grace for me in so many ways. Go on, read below to get all your acupuncture questions answered! The principle of acupuncture relies upon the meridian system. Just what in the heck does that mean? Well, let me tell ya. In Chinese medicine it’s believed that there is a network across the human body, like a web, consisting of energies, which connect different parts of the body via qi (energy), blood, and body fluids. Fun fact: evidence of system meridians were found in Chinese documents as old as 198 BCE, while the practice of acupuncture is said to date back to about 100 BCE (1). Along this meridian system in the human body, lie 365 acupuncture points that point to different meridian channels that connect to different organs. Upon inserting the needle into the points, energy flow gets restored to its corresponding body part or organ. You might feel a pinch once the needle is inserted into your skin, but that pain quickly subsides. However, there are times when the pain may feel more like it’s hitting a nerve. That could be because the needle was inserted into a point tied to a part of your body that needed work. When the needles are being inserted there could be a slight discomfort for some but it quickly fades. If you have a good acupuncturist, he or she will check with you on the points they feel resistance from. After the acupuncturist leaves the room, it’s just you and the needles. Which isn’t a bad thing. You end up dozing off and get into an almost pseudo-sleep like state. So when you come out of it you feel relaxed as if you just had a massage. After speaking to many people, and based on my own experience, after your first acupuncture session, you can’t help but smile for no reason. It feels super weird, especially if you’re not used to a sense of constant calm and peace. Depending on the kind of session you have, the next day effects could vary. And it also depends on why you’re getting treated. When I had an ankle injury, I’d limp into the acupuncture office and walk out normally. Honestly, it feels like magic. If I had a cold that included a stuffy nose, I’d walk out able to breathe just fine. I’m not saying that it’s a cure or a sure fire way to fix all your health ailments but it’s a great way to help get your body moving by adjusting the energy to where your body needs it, naturally aiding with your healing process. Some people do experience negative side effects and it’s important to know that ahead of time. They include bruising and lightheadedness among others. For more details on these side effects, read this. How many times do I need to get treated to see a difference? Depending on what your looking to work on, you can see results immediately after getting off the table. I find this to be true regarding physical ailments. However for mental ailments like anxiety it might take some time. Just laying on the table without doing anything can cause anxiety. Trust me, I know. Over time it gets better and you end up translating those feelings of calm and ease on the table into your day to day living. What are some of the general benefits? Getting acupuncture treatments on an ongoing basis does something to you. In a good way. Personally, I was riddled with anxiety and a constant feeling of having to plan and account for everything. After about a year or so of acupuncture, something shifted in me. So for me, the minor bruising or soreness was totally worth it when I felt a shift in my meta-physical energy. The average session is about 30 minutes. This doesn’t account for the time spent needling you in and out, and of course, if you have a good acupuncturist, the time spent discussing what’s going on in your body. It can vary by center. I can only speak for the one I go to. The first session is $105, as it involves a 30 minute discussion about your general health (mind and body). Then you proceed into the actual acupuncture session. All follow up appointments cost $55. The center I go to is Tribalance Acupuncture. Where can I find a reputable center? It can feel overwhelming when trying to find a trustworthy acupuncturist. Luckily there are some great resources out there. To find a practitioner near your, check out the NCCAOM website.